Absolut Vanilia is a vanilla flavoured vodka made exclusively from natural ingredients, and it doesn't contain any added sugar. Absolut Vanilia is rich, robust and complex. It has a distinct taste of vanilla, notes of butterscotch and hints of dark chocolate. The main ingredients in Absolut Vanilia are Absolut Vodka and vanilla flavour. 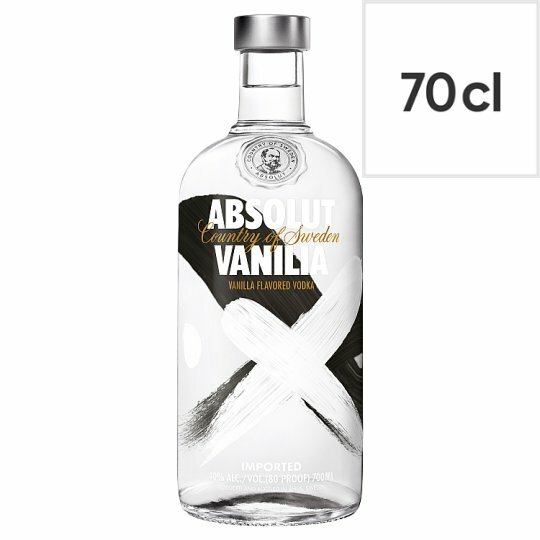 Serving suggestion: Use Absolut Vanilia Vodka to make the ultimate Espresso or Passion Fruit Martini, or use it in any of your favourite vodka cocktails. How to mix: Muddle pineapple in a shaker. Add Absolut Vanilia, passion fruit pulp, vanilla syrup and passion fruit purèe. Shake and strain into a chilled cocktail glass. Garnish with passion fruit. Serve with a side of Champagne or prosecco in a shot glass. This premium vodka was distilled from grain grown in the rich fields of southern Sweden. Unlike some other vodkas and spirits it contains no added sugar which makes it perfect for mixing. 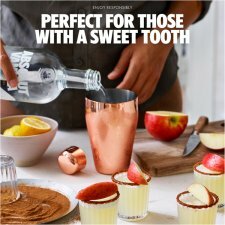 Absolut has been produced at the famous old distilleries near Ahus in accordance with more than 400 years of Swedish tradition. Vodka has been sold under the name Absolut since 1879. The Absolut distillery in Nöbbelöv is the most energy efficient distillery in the world. Since 2004 we have halved our energy consumption. 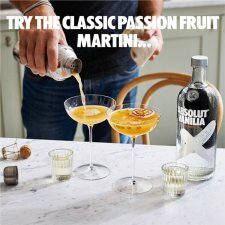 Use Absolut Vanilia Vodka to make the ultimate Espresso or Passion Fruit Martini, or use it in any of your favourite vodka cocktails.